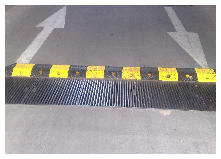 We have been supplying & installing (where required) vehicle & pedestrian control products since 2005. Many clients know they need ‘something’ to solve their problem but often don’t know what the ‘best’ solution is for their circumstances. This is where we come in. We provide on-site consultation to allow us to understand your environment & what you need to achieve, we then recommend the best solution after considering all the variables including effectiveness, practicality & your budget. Typical solutions include various bollard types to separate vehicles & pedestrians as well as vehicles & property in the case of ram-raid type bollards. Warehouse fencing is a solution that is more effective at separating pedestrians from vehicular (often forklift) traffic within a warehouse type environment, we have several fencing types to suit heavy to light traffic applications.